Really, I don’t like the SEO game, Good news is that within 3 months I’m getting 60,000 page views per month. So don’t do backlinking if you want to save your online business. Also, are those page views for your scratchinginfo.com site? Nice site by the way. I’m just using long tail keywords as Lisa mentioned above and posting daily fresh content. That’s it. Thanks. That’s very encouraging news. I’ll keep at it! Excellent post! Love this site. i will try for my site and will come back for more further details. Saying Thanks for this post is worth. So Thank You!. The advantages of doing this are associated with speeding up your content writing activities and generating a lot of backlinks and increased traffic rates much faster than you would by writing only one or two articles each day. I have a website that I started a while ago targeting a physical product niche, monetized via AdSense and Amazon. I am focusing only on adding content and improving the site as much as possible, always asking this question to myself: “Would I stay on this site or visit it again if I was looking for information about these products?” I didn’t build any backlinks or such, the site’s traffic is increasing each month as I keep adding content. The income is negligible but as long as the traffic keeps increasing, the income will also increase eventually. This is a long term process and I definitely prefer adding content and improving the site over wasting all my precious time on backlinks which will sooner or later lose their effect. Create good websites and good content and let your visitors build your backlinks naturally. That’s awesome Sarah! These kinds of posts definitely give me the motivation to keep at it. I also really like your trick of stepping back and asking yourself if you’d stay on your site or visit it again. That is incredible traffic! I’m a firm believer that good keyword research, on-page SEO and solid content are key. It’s just nice to see someone actual succeed that way. Your posts have inspired me enough to actually give this approach a try – I’ll be starting a little sub-project in my blog. Cool, Lyle! Well stay tuned because I might be doing another experiment here as well so my readers can follow along. That would be fantastic. I’ll definitely be watching out for that. Hello first of all thnq for the awesome post and i have one question is that what should i do ? i mean what should be my target ? search engine or readers ? You’ve done a great job. I love this site. Your articles always inspired me, I also a subscriber on your youtube channel. You are really amazing woman. Spying in on the competition with tools like SpyFu or SEOQuake can give you an inside glimpse at who you’re up against. Alex recently wrote a post about these two tools called: What Linkbuilders Aren’t Telling You . The idea is the same: You use both to dig through content and competition to see where you can find an edge and since you know Adsense will be paying well, you know you’re onto a profitable niche. I’ll be in dreamland to get that kind of traffic without backlinks, at this point i’m not even close to your numbers. I’m seeing traffic come without building backlinks too. For one site in particular, all I had to do was build it about a funny/interesting topic and it started receiving traffic. I’ve chased backlinks in the past, and I hated doing it. It’s so boring! I would rather write and create excellent content then mindlessly build backlinks. My brother chose to rely on SEO for his business, and he has to start over now after penguin was released. Wow, super. I know it is true. Even I too have single digit number of backlinks and getting 200 views per day only from google. What is the page rank and alexa rank of that website ? I hape PR 0 and alexa – 900000. It’s so amazing traffic Liza, well done..
100,000 Monthly Page Views & No Backlink Building? Wow… That’s amazing great result Lisa..
How do we know that it is a DOFollow website/Blog to submit our links? Lisa, you never cease to amaze me with the results you are able to produce! I remember when I started back in 2009, you were the first marketer that really got me excited about the passive income lifestyle. I watched your videos back to back on Youtube and digested everything you had to throw out. I don’t know how much forum marketing you’ve done outside of website babble, but I would love for you to stop by FirePoleMarketing.com and give your input on how website babble has helped you forge relationships plus anything else you want to add outside of it for traffic generation and leads. We’ve been lucky to get some legendary figures such as Ana from TrafficGenerationCafe.com & the sweet-hearted Ms. Ileane from MsIleaneSpeaks.com to join the conversation. Keep up the great case studies Lisa, we’ll be in touch! Pretty impressive! Thanks for sharing. Keep going! Hi Lisa, really great post. Achieving huge traffic without building backlinks is a tremendous win over Google rules of SEO. If you started building backlinks, you can probably get three times more traffic. That way the no of links will exponentially grow with your traffic fetching more quality to the site. However your concept is very inspirational and stands out from the rest of the SEO worshipers who believe backlinks are everything. I think there are factors that can get you to the point of 1000’s of views with no link building but it does take longer than if you did some seo for the same site. The benefit is that it’s much more stable because it’s all “natural” traffic. It is great to see a real world example though and not a theoretical article. hmmm, i think impossible to get natural traffic without link building, especially if you running on affiliate or other online business, because they also competing in micro niche market. Impossible? I disagree. When your content is good, people will give you links in other articles and on their sites. That’s where these links are coming from. Remember I never said I don’t have links. I just said I didn’t build them myself. If you read the comments others have said the same thing. I think people need to focus less on link building and find ways to be unique, useful, etc. so people will naturally share your content. i agree with above points and i would like to state that now a days infographs and guest blogging has emeged as a new and authentic way to build backlinks.lots of most popular website like quicksprout,Kissmetrics social media examiner are taking help of infographs which has helped them in creating quality backlinks for their business. Nice post, this definitely works as I have had several of my sites in top position for long tail keywords or less competitive keywords and I hadn’t done any backlinking or s.e.o work on it at all. It was actually my friend who told me my site was ranking well. That’s how little I did on it. This was an old skateboarding website a couple of years ago. Thanks for sharing your experiment with us. 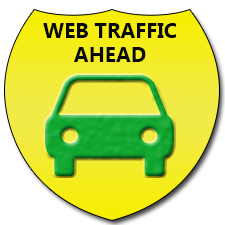 Traffic without backlinks is too hard but you did a great job. Thanks for sharing your experiment with us. This is mind blowing. Traffic without backlinks is too hard but you did a great job. That is fantastic Lisa. I too have been enjoying more traffic without doing any backlinking. But not at the scale that you have managed. Is is possible that some of your followers from websitebabble migrated over to your blog? What other types of traffic building process have you done? Just like you I have also created a website where I don’t do any backlinking and I am getting 200 to 500 views per day not bad for a small blogger like me. That’s excellent rabbi. The only thing is that you obviously do have some backlinks since you just created one! Hi Anthony, how did I create a backlink? I am not linking to the site from this article? And I never said the site doesn’t have backlinks. I only said I haven’t manually created them. Sure the site has backlinks. They were all earned naturally. Wow, that is amazing traffic. I would love to do that. Great post lisa! SEO AND SEM works togheter. I really love what you do when it comes about traffic. Growing natural – Slowly and sure, I got the point 🙂 I agree with all you say here. Well done! wonderful share and nice post Lisa thanx a lot…. but i have a question, how to increase traffic my e-commerce website? Can you give me some advice to do this? I must say this is a very inspirational post! I don’t focus on backlinks and I am focusing mainly on the unique content of my website. I have not seen MAJOR results yet but this post reminds me it is possible. Awesome information here Lisa!! seo is an main part of your blog and your each post that plays an very important role. I have to agree with the other comments posted here. This is certainly impressive at the least. For our business, I don’t chase backlinks either, instead I work on what I do best, which is my business. Along the way, I have built a good following through hard work and connecting with my readers. So to some extent, I have to concur that back linking is not something you must do, but I wouldn’t spend 100% of my time doing it. Great post. -Brian. That’s pretty impressive! I have to see what I can do for my website to get the same results! Great post, Lisa! Building serious traffic by writing content and targeting long-tail (less competitive) keywords. this made my day!And i wonder what “magic” you use in driving such a gigantic traffic!! I must say I am pretty amazed what can be done with “natural” SEO, Lisa – i.e. let your content speak for itself. I haven’t done any link building for Traffic Generation Cafe either for about a year now, but my organic traffic keeps climbing. Really amazing fact,I am also trying hard to build traffic and your post will be the Mile Stone for the blogger like me. I think the idea of long tail keyword is great to fetch organic traffic. Traffic is important. I work to get page rank, but the key to every activity that I do is to get traffic. Because, traffic will pay my bills but good page rank may not. Targeted keywords may bring the traffic that one needs. I have also seen such traffic for one of my blog with no backlinks. But the traffic was short lifed. It lasted merely a month. The conclusion i drew from my experience is that backlinks are only required for a good page rank and a good page rank doesn’t promises you good traffic. This is extremely interesting! Good work on your part, super impressive. I’m guessing you’re using really high quality content in order to build this site up. Do you mid explaining how you go about creating your content, use of freelancers or VA’s? If you’ve already explained that somewhere (it’s my first time on your site) I apologize! Once again, great work!